1. Take 15 minutes every morning to relax before rushing out the door. (Sit cross-legged on a hard floor and sip hot water if experiencing sever constipation.) Deep breathing exercises are also helpful to do at this time. Ie. Breathe from belly not chest. 3. Remove as many of the external stresses from your life such as: being ‘too busy’ plus deal with internal stressors like; lies you tell yourself, ‘stuffing’ your feelings, feeling bad about yourself and any “co-dependent” or “co-addictive”, or addictive behaviour. 8. Get checked for a nutrient deficiency if you are still constipated. If you are low in any of the B vitamins, lecithin or acidophilus, – these help the colon stay lubricated and toned up. 9. 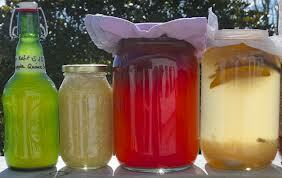 Eat and drink fermented foods, and I don’t mean alcoholic fermented beverages. I mean Water Kefir, Milk Kefir, Kombucha, Fermented Vegetables etc. These help to maintain a healthy digestive tract. 10. When traveling, take your enema bag along. (Refer to ‘How to Give Yourself a High Enema.’ http://www.ozonelab.com/monica/enema.htm ) You can also benefit from doing a colonic before and after you travel. Book these appointments ahead of time. Also, herbal laxatives such as Senna, Cascara sagrada are okay for occasional constipation. Do not take herbal laxatives as a long-term solution. Please consult with me during your next appointment so I can help you determine the cause of your constipation and a plan to address this properly. 11. If you are on drugs or medication, check to see if constipation is a side effect. Ie. Pain killers cause constipation. There are herbal alternatives to help with pain. 12.Iron supplements can also cause constipation. Herbal iron supplements are superior as they do not cause constipation and absorb better to. 13.Have an assessment to determine if your stomach or liver may be causing the constipation you are having. 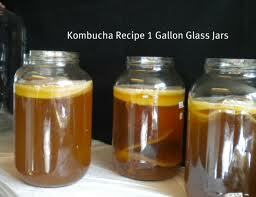 Kombucha is a fermented drink made from a Mushroom that grows in black tea/organic whole cane sugar & water. When it is strong enough it will taste like beer without the alcohol. The taste of this can easily be disguised by adding an unsweetened juice to your cup along with the Kombucha Brew that you make. It is very good for your gut and will also boost your immune power. Try some today! Let me know what changes you experience when you drink this brew on a daily basis! Here is the basic recipe! 1 cup organic sugar cane sugar. use a large jar…Ie. Gallon size so mushroom has room to spread out. cool down, strain tea leaves or take out tea bags. fill glass jar, leave about 1 inch of so room at the top . Need 1 gallon jar. cover with cheese cloth or coffee filter and secure the cover with an elastic. I set it in the cupboard to ferment/or cover it with a box. leave minimally for 5 to 7 days, I usually need 3 weeks, our kitchen can get quite cold. some people flavor their kombucha, just add different flavour of unsweetened juice to it. Why do people get bloated, gasey and constipated? The main causes are the heavy North American diet that most people devour. What I mean by heavy foods is cooked grains & animal sourced foods like meat & dairy. Some examples are; white bread, white pasta, white rice, hamburgers, steaks, pork, pizza, hotdogs, sausages etc. Anything deep fried or full of sugar. These foods are very heavy because they lack enzymes, vitamins & minerals used for digestion. They are also hard to eliminate as well because they are low in fiber. The stomach & liver become burdened with digesting this food and “food residue” is left in the intestines because it could not be burned “cleanly”. Over the weeks & months this builds up in the intestines and impairs the digestion in the small & large intestines, because the food becomes rotten and turns into a “glue-like” substance-something like old gum on the sidewalk. Hard to get off! It clogs the delicate, finger-like projections in the small intestines and the body becomes auto-intoxicated because you will keep reabsorbing the toxins into your bloodstream causing the liver to constantly work cleaning the blood so you can stay alive without poisoning yourself. Some of the symptoms of this malady are bloating, smelly gas, low energy after eating, dark circles under the eyes, bad breath, sensitive spots on the abdomen etc. Some remedies for this problem are; a) start eating “live” foods. Foods like sprouts, raw veges, raw fruit, raw nuts and seeds. 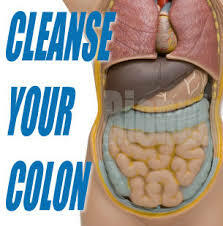 b) do a cleanse which needs to include; fiber drinks with bentonite clay, herbs to help release the old “gum” on the intestinal walls, herbs for the liver & kidney and with the cleanse you must do juicing, skin brushing, colonics or at the very least enemas. c) do a daily fast once per week and to make it more effective do skin brushing, but use a rebounder to really get the lymphatic system moving and drink tons of water with fresh lemon & cayenne pepper. (You can do this longer if you like) d) Take enzymes with the heavy protein meals even with the vegetarian meals on a daily basis. The main idea is to eat so you can digest properly by incorporating foods easy to digest while also clearing the intestines of the “goop” so you can also absorb what you digest. Happy assimilation!